AMSTERDAM – Dutch authorities will use an extensive camera network to see who is driving their car without paying tax. Late last week Dutch media revealed that tax authorities will soon be monitoring all cars on the road to determine who is and who is not paying road taxes. 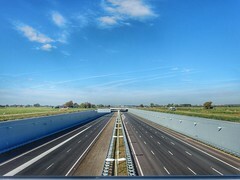 The Netherlands has an extensive array of cameras throughout the national roading network, both in the form of regular speed cameras and 800 specialized “ANPR” cameras used to monitor road conditions. The cameras will be used by the tax authorities to see what cars are on the road, and reconcile the information against the information it has about who has paid their road taxes. The monitoring of car use is expected to raise as much as EUR 10 million in extra tax revenues each year. AMSTERDAM – Collection of tourist taxes is gathering steam in the Netherlands, with millions more expected to be brought in this year compared to 2015, especially in Amsterdam. Over the course of 2016 the level of tax revenues to be collected from tourist taxes in the Netherlands will rise by 8.6 percent, compared to the level seen last year, according to new information released in a report by the statistical agency of the Netherlands CBS. It is expected that the tourist tax will result in tax collections totaling EUR 188.6 million over the course of the year. The tourist tax is paid for each night stayed in a hotel or other accommodation, with the rate being set separately in each municipality across the Netherlands. AMSTERDAM – The government is looking to slash taxes by EUR 5 billion after projections for growth of the national economy saw a strong upward revision. The government of the Netherlands will reduce taxes faced by individuals by a total of EUR 5 billion, while simultaneously increasing government spending, according to new information released by the national Finance Minister Jeroen Dijsselbloem during the national budget plan announcement. The cut to taxes will come in the form of reduction to income tax rates, cuts to the rate of employee taxes. In addition, child-care benefits will be increased in an effort to encourage more parents to return to the workplace. Government-sponsored elderly discounts will also be raised, as will housing allowances. AMSTERDAM – Taxpayers in the Netherlands have come forward in droves to square off their tax affairs via a tax amnesty before the government significantly hikes the fees and penalties for tax evasion and other illicit activities. 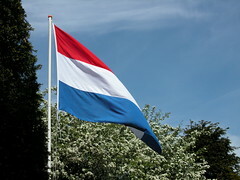 The tax amnesty program currently being run by the government of the Netherlands has already proven to be a success, with more than 500 taxpayers coming forward to disclose information about undeclared offshore incomes and assets, according to a statement issued late last week by the national Ministry of Finance. Dutch business entities are now being used by most large international companies for the purposes of tax planning, with the flow of money through such structures now reaching over EUR 10 trillion. According to new research conducted by Het Financieele Dagblad, a leading Dutch financial newspaper, the Netherlands are quickly becoming one of the most popular jurisdictions used by multinational corporations for international tax planning. 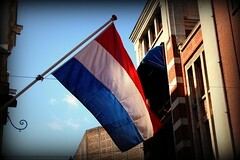 The report shows that out of the 100 largest companies in the world, 80 make use of Dutch entities for tax planning.